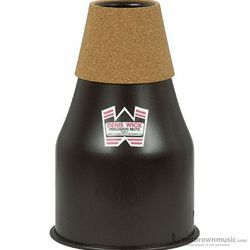 Most practice mutes are infamous for their deficiencies in pitch, intonation and excessive resistance. Through careful design, Denis Wick has created a practice mute that stops nearly all sound while retaining a stable pitch, accurate intonation and the ideal level of resistance. Whether they are being used in teaching or practicing, Denis Wick practice mutes can bring the sound to the edge of silence.